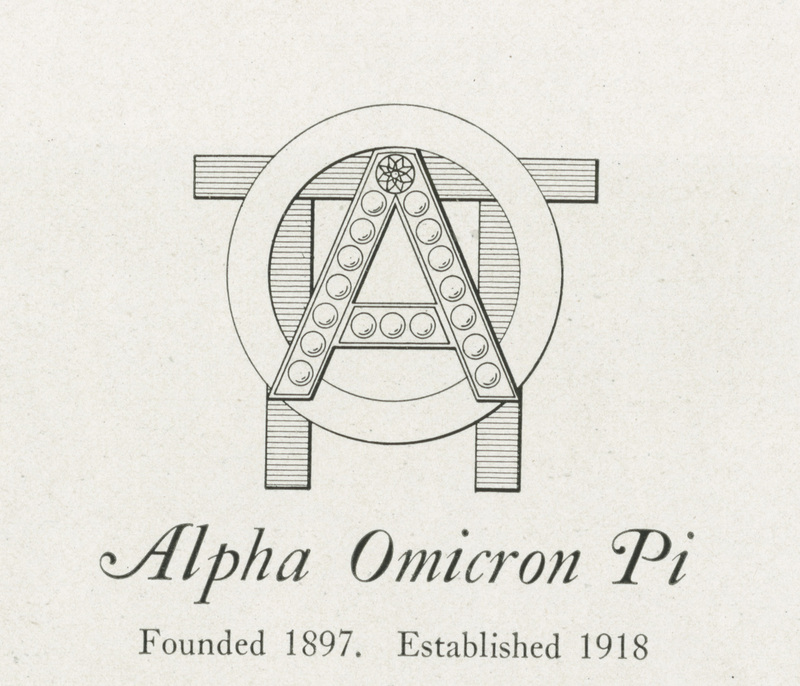 Alpha Omicron Pi was founded on January 2, 1897, at Barnard College in New York City. Its motto is “Exceed the expectation.” The sorority’s color is cardinal red and its flower is the Général Jacqueminot rose. 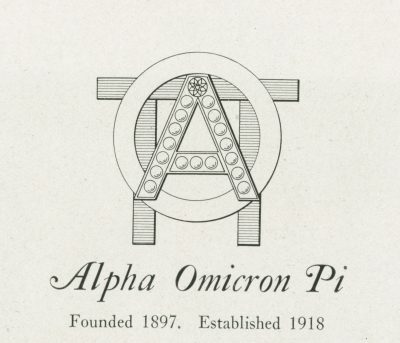 The Psi chapter of Alpha Omicron Pi was founded at Penn on April 13, 1918. It closed in 1958.